When I laid out my plans for this trip, I didn't know that I will land in a politically defining moment for that foreign piece of land. Hong Kong was set to vote for its new Chief Executive and I was there on the first day to witness through news report the selection of Leung Chun-Ying as the new Chief. The coveted position is both important and unusual to the people of Hong Kong. When Hong Kong reverted from British to Chinese rule, the position of governor was replaced by Chief Executive as the head of the government. 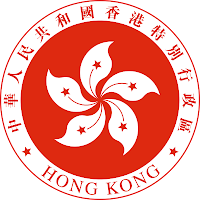 Although an election is performed to obtain a new Chief Executive, what differs the system from the usual democratic election is that the candidate is elected by an electoral college (currently stands at 1,200 strong) consisting of private citizens and bodies instead of by the population of Hong Kong. In other words, as was reported in some medium, this is a "small-circle election". My understanding of Cantonese allowed me to absorb local news reports channeled through mediums like television and morning papers. It is only logical that most news throughout the week focused on Leung as the new Chief, but somehow he did not get the support of the general population. Rumors of him being pro-Beijing does not sit well with the people. Unfortunately, the election of Leung to the position is not something which the people of Hong Kong could influence. Just because they do not have a right to vote for the Chief, that doesn't mean that the citizens of this small Special Administrative Region is going to just sit tight and let it go. On my final day of stay in Sheung Wan (上環), I saw police officers posted almost everywhere on the streets. It was later when I read the international section in Malaysia that I found out what happened. The people of Hong Kong took to the street in a march of protest in an effort to voice their displeasure. Suffice to say, I was fortunate that I left for the airport earlier as a street march like that could jeopardize my schedule and miss the flight. News of the march could be read from Seattle PI and South China Morning Post among others. The situation of Hong Kongers are a little peculiar to me. Originally ruled by the British, they were unhappy with the gwai lou (that's how Cantonese speakers called the Westerners) ruling over them. Now when they are ruled by someone who is supposedly pro-Chinese, they are unhappy as well. When I strolled in Central (中環) I was initially taken back by numerous posters along certain walkways showing their vehemence towards Beijing rule. They were not happy with the British, and now they are not happy with the Chinese. I'm sorry to say this, but I do not feel any welcoming atmosphere in Hong Kong, even as I set foot in Hong Kong International Airport (HKIA). For an airport which prided itself as one of the largest, it sure is not the friendliest. It doesn't matter if you are a gwai lou or Chinese or a tourist on holiday there, the immigration officers are not friendly to you. What is sadder still is that they could neither communicate well in Mandarin nor in English. I do like to think that handling so many people everyday made them slightly peeved, but if one were to tell me this is a land with international standing, pardon me for not agreeing with it. When I think back to the immigration officer who could hardly utter a complete Mandarin sentence and directed a gwai lou rudely in incomplete English sentences, I remembered thinking that the flight somehow took me back to Malaysia. Strike that, at least Malaysian officers are slightly more helpful than them.